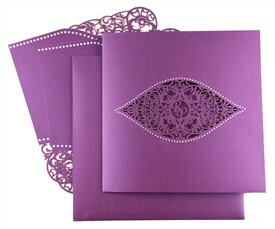 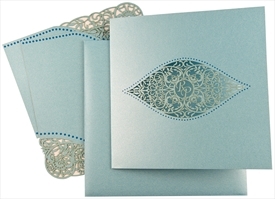 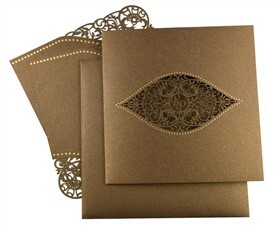 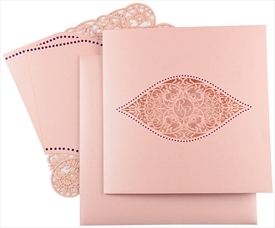 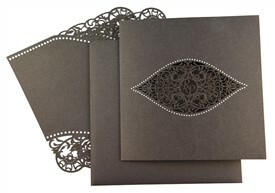 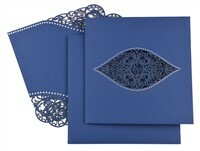 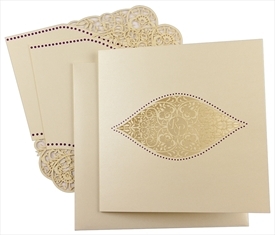 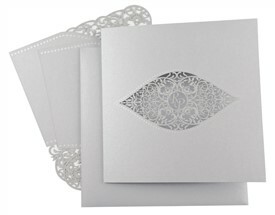 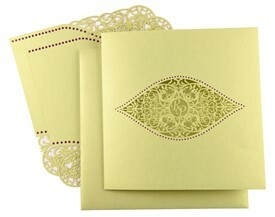 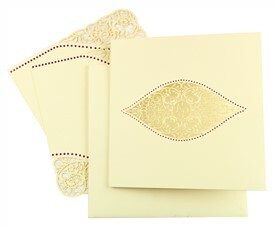 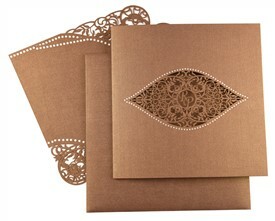 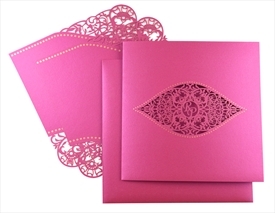 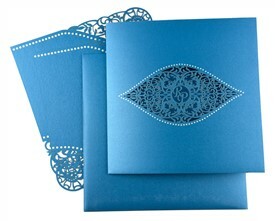 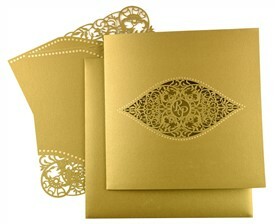 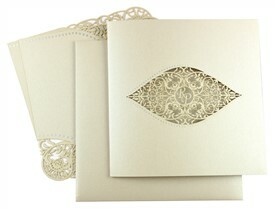 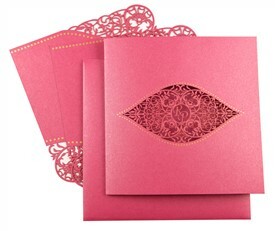 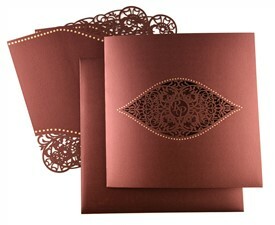 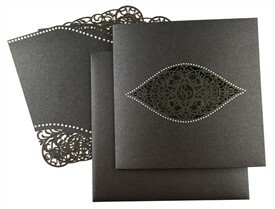 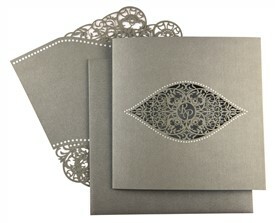 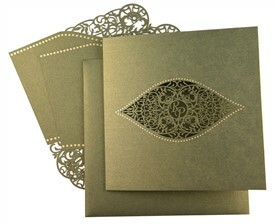 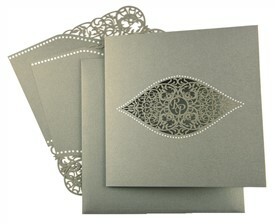 Intricate eye-shaped floral laser cut pattern with initials and polka dot border adorn the front of card. 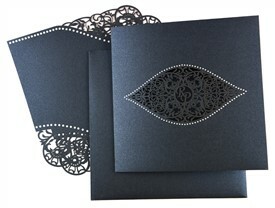 Inserts are also laser cut with design similar to front. 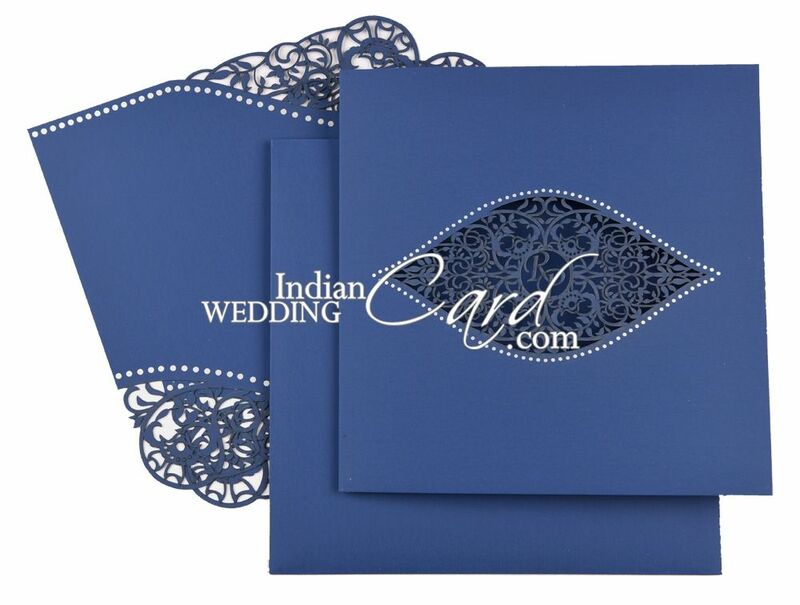 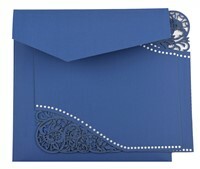 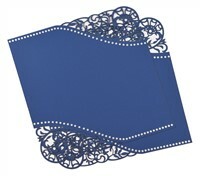 Blue matt (plike) paper (250 gsm) for main card, envelope and 2 inserts.